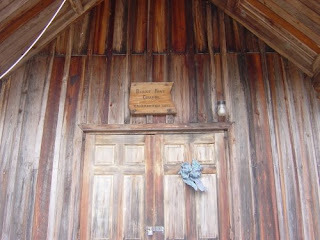 Ok, setting off on another Find a Grave adventure, I arrived here at the Burnt Fort Church in northwest Camden County. Turns out Burnt Fort had a pretty interesting history. Back before the Revolution, when Florida was Spanish territory, the area that is now south Georgia was considered "off limits" by both Britain and Spain, in order to avoid another war. At the time, Georgia' southern border was the Altamaha River, where Darien is, and Florida's northern border was the St John's River, where modern day Jacksonville is. In 1755, a man from Virginia by the name of Edmond Gray, came to Georgia and was elected to represent Augusta. He opposed the requirement of 50 acres of land for the franchise of land granting. He proposed that the property should be evaluated by its value, not merely its size. The proposal failed, and Gray took his followers to start the community called New Hanover on the Satilla River. The community began on the northern side of the river, in what is now Charlton County. Because the settlement was in neutral territory, they were not considered to be part of any colony, British or Spanish. Having loyalties to the British, the settlers wrote appeals to both Georgia and South Carolina, to be annexed by one of them. However, England would not recognize the settlement for fear of war with Spain. The Spanish offered to let the settlers move to the St John's River and establish trade with the Natives there. Gray informed Governor Ellis of Georgia of the offer, and Ellis, in turn gave license for them to trade with the Natives at there current location. Although he was rebuked by the GA Board of Trade, the clear violation of the neutral territory angered the Spanish, so they sent a company of soldiers to order them to leave New Hanover. Gray replied that they would do what their superiors told them to do. However, New Hanover was considered an embarassment to the British, and both Georgia and South Carolina commisioned representatives to order the settlers to leave. 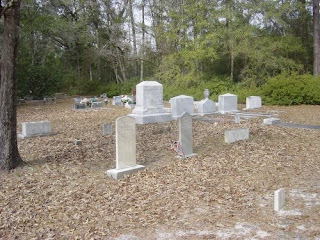 the representatives, James Edward Powell (GA) and Major Henry Hyrnes (SC) met at Savannah on Jan 26, 1759 and went to New Hanover. Gray was then ordered to leave in 28 days. 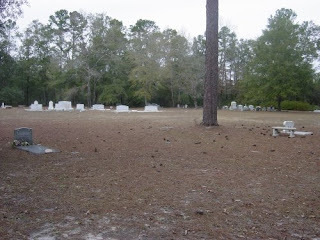 Gray himself and Ephraim Alexander had been given another offer by the Spanish to set up a trading post on the St Marys River, and so intended to leave. Not all of the settlers were so willing. Because of this, Powell and Hyrnes were ordered to destroy the town, which they carried out. After this episode, the name of New Hanover disapeared, but the settlers did not. They stayed, and the name Burnt Fort began to be used. 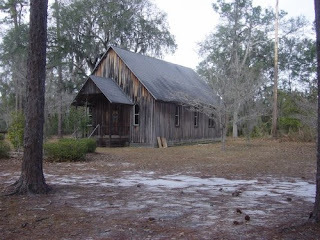 The first evidence of a church at Burnt Fort is a deed from 1872, well after the community had become a great logging area. Though it is called several names through the years, it was a place where all denominations worshiped. 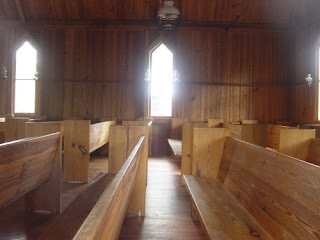 It remained in use until 1947, when the community, and church attendance declined dramatically. 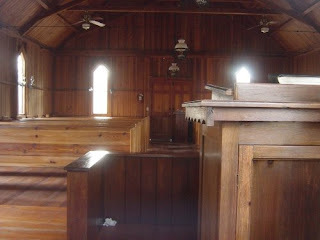 the church was abandoned and by 1960 it had completey collapsed. In 1976, nearby residents decided to bring back the Burnt Fort Chapel, and on September 4, 1977 the newly re-built church opened. 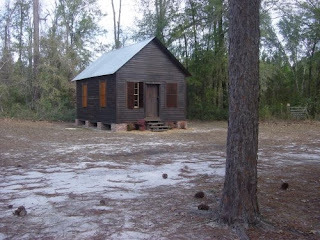 This is Camden County's only remaining one-room school, located next to the Burnt Fort Chapel. If any of those names look familiar, you might want to go check it out and see if you have a relative! Have fun! Notice to those whom may be interested. Richard Franklin Gray son of Clifford Gray and May? Buchanan Gray and later step son of Flora Buie, will be laid to rest Tuesday Feb.2nd 2010 at Brunt Fort cemetery. 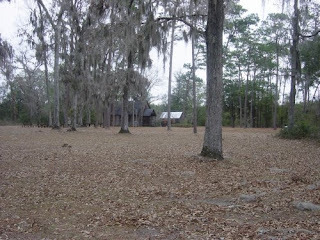 Mr Gray (my father in-law)is a direct descendant of the original settlers of the area known as Burnt fort, he himself was raised in the area, his father known as "Captain Gray" operated a tug boat service on the Satilla for many years. Richard loved the Satilla and the surrounding woodlands,he was a wealth of knowledge who will be missed. Camden County, Ga. It's like home to me! Paperback swap. Everyone should be on this site! Life's a Calling, Who is This? I'm me. I like history, and sharing it. If you like me, buy me something on my amazon.com wishlist. Or just leave a comment. That's good too.